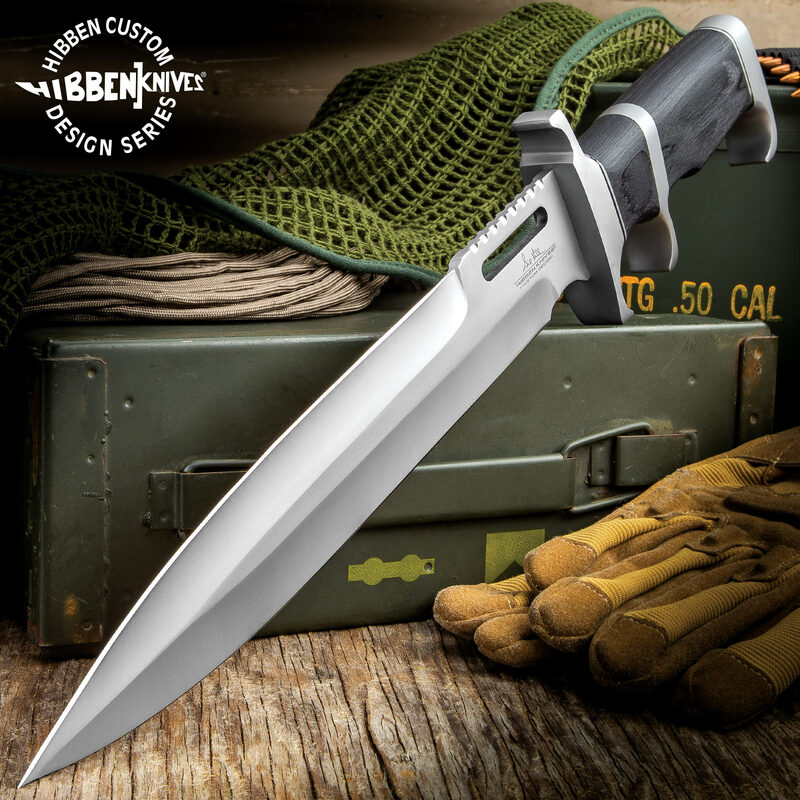 From master designer Gil Hibben comes the Hibben Sub Hilt Toothpick knife, featuring a 10 7/8" 5Cr15 stainless steel blade. 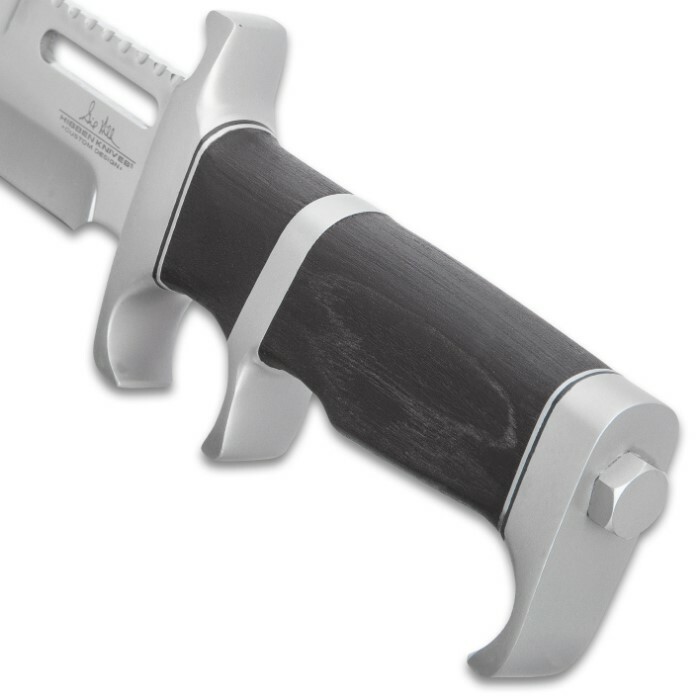 The stainless steel construction continues onto the guard and sub hilt, surrounded by a black pakkawood handle. A hefty pommel completes the design. 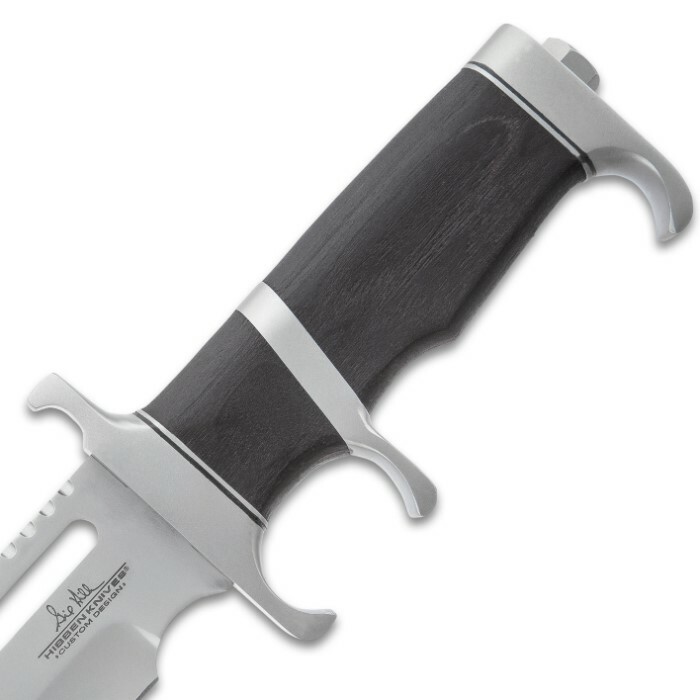 I'm a fan of Hibben knives and I've never been disappointed with any that I've purchased. I knew I was getting a nice knife when I ordered this one, but once it arrived, it exceeded my expectations. As another reviewer commented, the pictures don't do it justice! This thing is big and wicked-looking, but has great balance and feels great in the hand. It came sharp, and the leather sheath is very nice. Can't recommend this enough! I don't usually leave reviews unless I'm really impressed with what I've purchased or really disappointed. 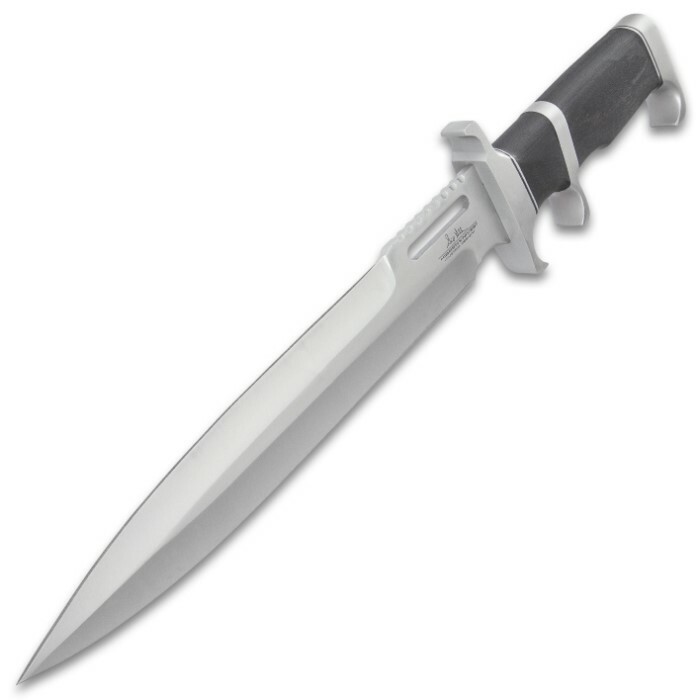 The Gil Hibben Sub Hilt Toothpick knife is a great buy at this price. Really nice knife. You can smell the genuine leather sheath when opening the box. Can't think of a single negative thing. Great service from Bud K. Hold this knife in your hands and you too will be impressed!! Well designed and balanced. Nice fit and finish. I was surprised by the actual finish of the knife. It seems to have a silver powder coating on all metal surfaces. Over all great design and value. First and foremost the pics don't do this knife justice it's much beefier then they make it look which I like, the Handle feels good in my hand especially since I have rather large hands and still have room between the pommel and sub hilt, the blade is decently sharp not shaving sharp like I'd like but I can fix that myself, and last but not least I love the sheath for it's simple yet functional design. Overall just like all Hiibben Knives it's a masterpiece. Just got this fine looking blade today. Looks so awesome feels good in the hand nice sheath. Put a thin coat of oil on it as soon as I got it. Bottom edge razor sharp. Top edge not so much will need to be worked on for that sharper edge. And as far as I can see that was the only draw back. But for the price would recommend. 5 out of 5. Thanks Mr. Hibben and BudK. 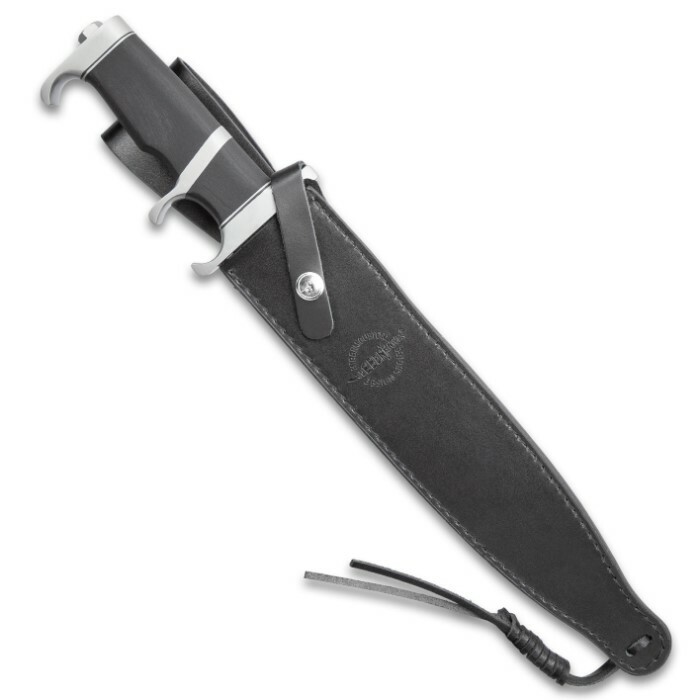 Most guys love a sub hilt knife, add a long slender toothpick blade and you have one" Mother Loving Knife". This knife comes very sharp and sturdy, the Black Micarta handle is a sure grip and quite nice. The entire knife is a thing of beauty. 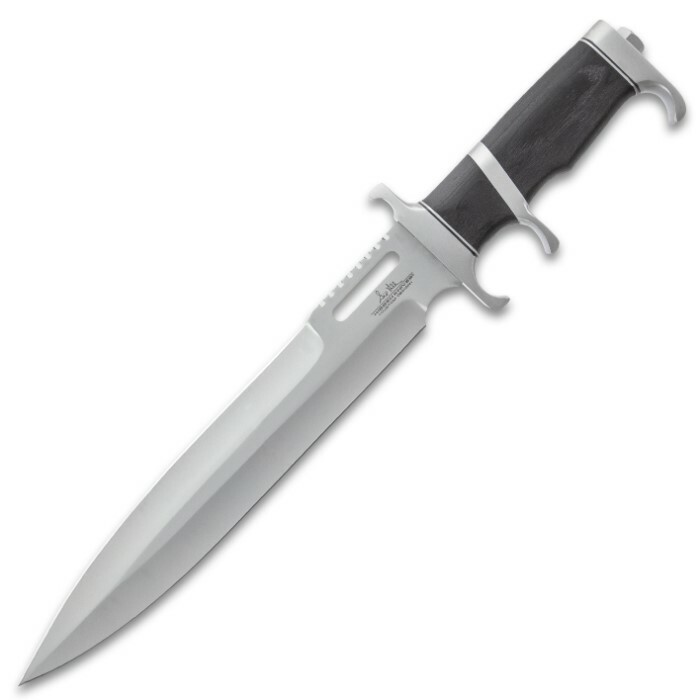 Look out Bears and Wolves Gil Hibben knives are on the loose, and this is one knife that will get the job done. Thank you Mr. Hibben and BudK. Very good knife. I recommend to all. Love this blade. So sleek and feels just right. I love the extra finger guard, it adds a little extra to the knife. THe satin finish is perfect. The edge is hair splitting sharp right out of the box. I could go on about this one but it leaves me a bit speechless.